When we first visited Sri Lanka, we already knew that we would love the beaches, the culture and the people but we were not sure what the food would be like. 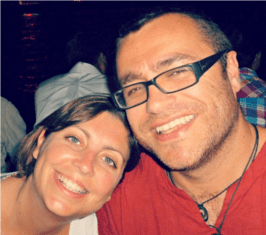 Over the 10 weeks we spent there we fell in love with Sri Lankan cuisine. From the fragrant veggie curries to the ultra fresh fish on the beach, almost every meal was a memorable one. 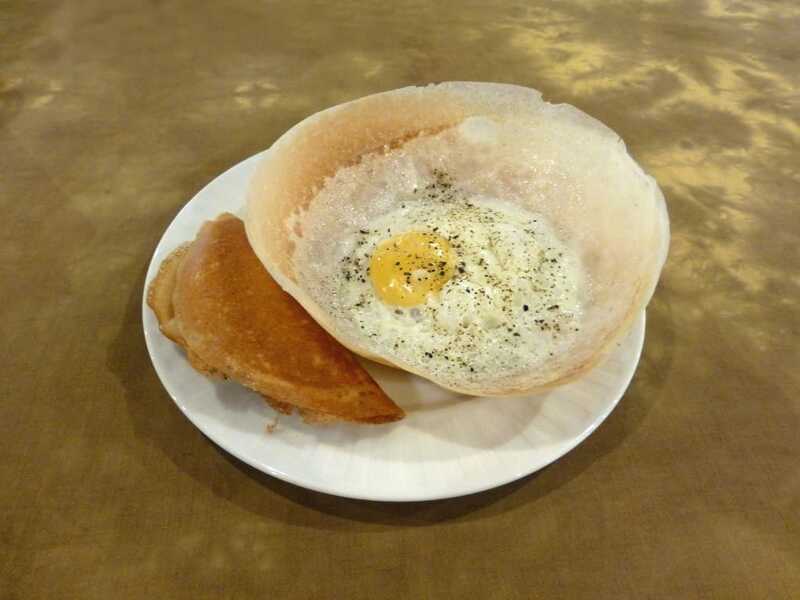 The dish we miss most though is Sri Lankan Hoppers. We are not huge fans of Asian breakfasts but Sri Lanka turned out to be the exception. 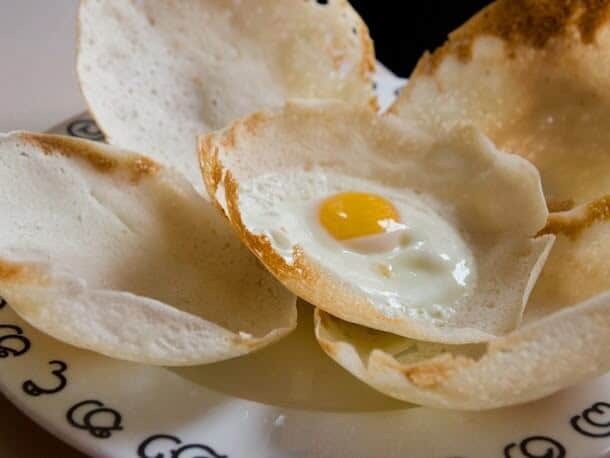 Sri Lankan Hoppers are similar to thin pancakes or crepes shaped into a bowl. They are made from fermented rice flour, sugar, coconut milk and coconut water. They are served with a fried egg in the middle and sambal (either onions, chillies and lime or coconut relish) on the side. It is such a simple breakfast but it ticks every box for us. We recently learnt that traditionally Hoppers were cooked at home over coconut shell embers. I am not sure if you want to do that home but go right ahead if you want the authentic experience! Let us know how they went. Place warm water in a small bowl and add the yeast. Let the yeast dissolve for around 5 minutes. Meanwhile, in a large mixing bowl, combine the flour, sugar and 1/4 teaspoon of the salt. Add the yeast mixture and coconut milk to the flour mixture and whisk until blended. Cover and let it rise for 2 hours. Whisk to deflate. Heat a small non-stick-pan over medium heat. Add 1/2 cup batter and swirl to coat the pan, including sides. Cook for 1 minute to set. Crack an egg in the center. Cover the pan and cook 2 to 3 minutes or until the egg and hopper (crêpe) are cooked through. Sprinkle with a pinch of the remaining salt. Remove and repeat with remaining ingredients. Serve immediately. 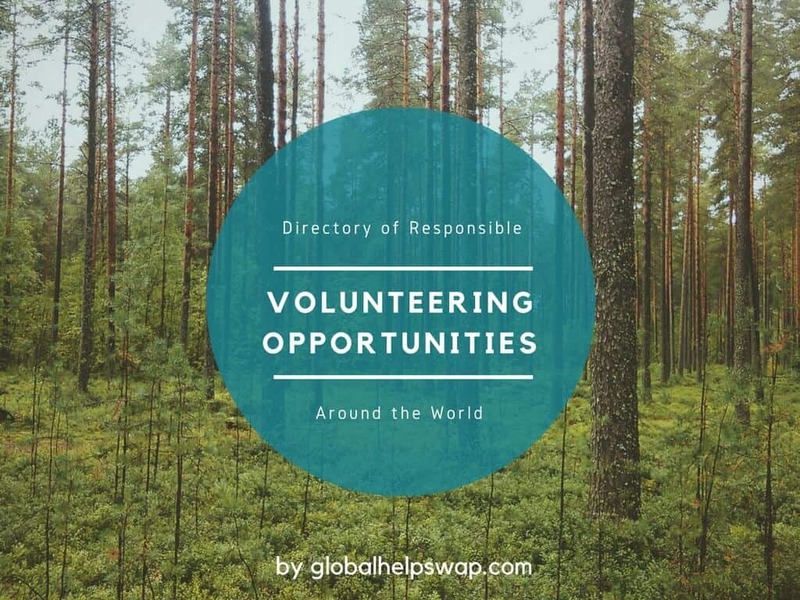 If you would like to take part in global recipe swap, please send us in a special dish from your area and we will try to cook it at home. You can send the recipe to [email protected]. Feel free to cook todays recipe and let us know what you think in the comments below. Oh I loved hoppers, and everything else I ate to be honest. One tip for anyone going to Sri Lanka, people want to feed you…..a lot!!!! But the food is so good, you don’t mind in the least. Ha ha, we totally agree with that! Thanks for the comment!